Shogi is a type of Chess played in Japan which consists of the cells of a 9x9 board where the first 3 rows form the player's camp and the last 3 rows the promotion zone. The cells are slightly rectangular and each player has 20 men. The pieces are flat and wedge-shaped and the possession of the pieces is indicated by the direction in which they face towards the opponent. On the reverse side, they also have the name - in red or in black which has the following operations the royal king piece is a Jeweled General and his capture is the goal of the game. The Gold General moves behind, beside, straight back and diagonally backward, the Silver General moves straight ahead and in diagonals, the Knight is the horse that jumps over occupied spaces, the Lance can only slide ahead, never beside nor backward, the Rook is a very powerful piece which is even more powerful once promoted and finally the soldiers that moves step by step. The origins of Shogi dates back to 1027 From Nara where they found a wooden tag used for writing purposes, on which Japanese archaeologists have identified the characters for the game. 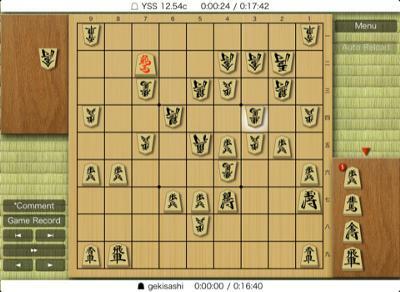 Initially there were two forms of Shogi one over a 8x8 and/or a 8x9 board and the other over a large 13x13 board. The first one is called Heian Shogi that had only six different kinds of pieces namely the King, Gold General, Silver General, Knight, Lance, and Pawn. About 1300, Shogi was played over a regular Shogi-ban of 9x9 spaces and each player had 21 pieces in which player who gained a Crown Prince effectively acquired a second King as the Crown Prince had also to be captured (or bared) before the opponent could win the game. After a long time in the 15th centuries, even larger variants were recorded on 17x17, 19x19 and even 25x25 boards played with Kings, Gold, Silvers, Knights, Lances, Pawns, Rooks, Bishops and Drunk Elephants. On the 16th century, it is supposed that the Drunk Elephant was definitively withdrawn and in 1636 a treatise with the essential standardized rules of modern Shogi was propounded.